AMACI, the Association of the Italian Art Museum, has been calling on artists to keep their studios open and to welcome visitors on the occasion of Contemporary Art Day (Gironata del Contemporaneo) since 2005. 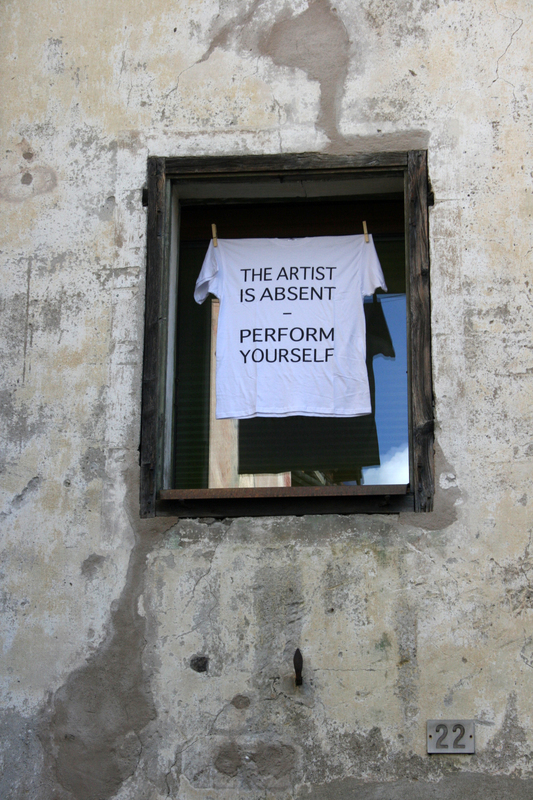 Hannes Egger hangs a T-shirt with the inscription “The Artist is Absent – Perform Yourself” on the window above his studio. At the locked entrance door, however, he affixes his book “The Artist is Absent – Perform Yourself” with performance instructions for the audience.